Julianne was seeking an easier way for MGH’s Heart Center network to get the latest ECMO treatment guidelines. We began by developing an intuitive app that put up-to-date guidelines in the palm of physicians hands, without the need to scramble for out-of-date paper versions. We worked in partnership with MGH, to build out internal systems and infrastructure to ensure the delivery of standardized guidelines throughout the network. The data was also hard-coded for offline use to ensure that physicians, especially those in rural areas, could access the protocols, regardless of wireless connections. 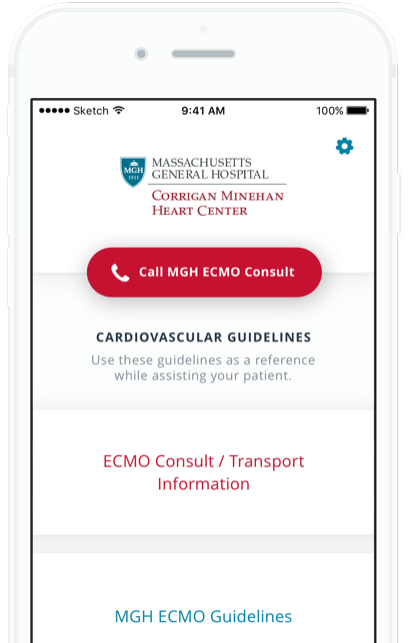 An innovative mobile app solution with the latest ECMO emergency guidelines at your fingertips. Available anywhere and anytime, the app ensures that up-to-date guidelines are on-hand in an emergency situation. Primary physicians and first-responders can also refer patients directly to your clinic via the app for life-saving emergent care. 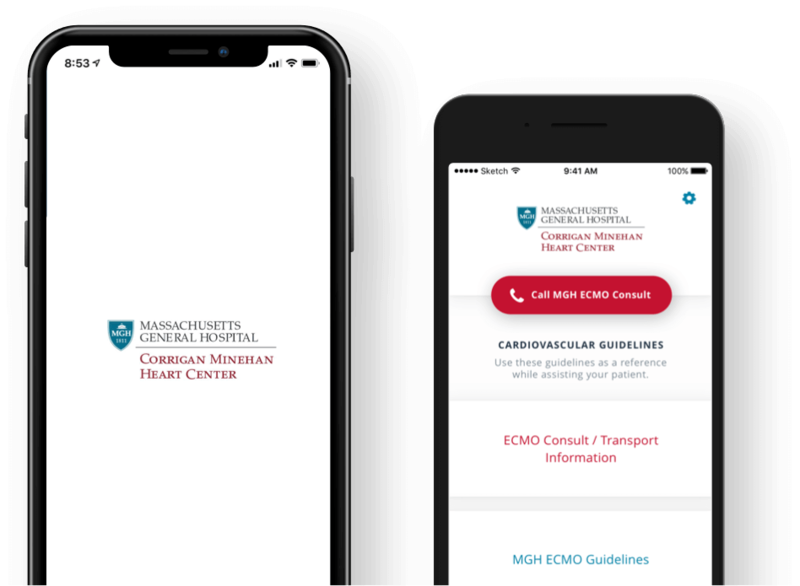 We created a beautifully MGH branded specific mobile app for both iOS and Android for a 3 month pilot to study the use and capture data of where a majority of their Heart Center referrals come from. 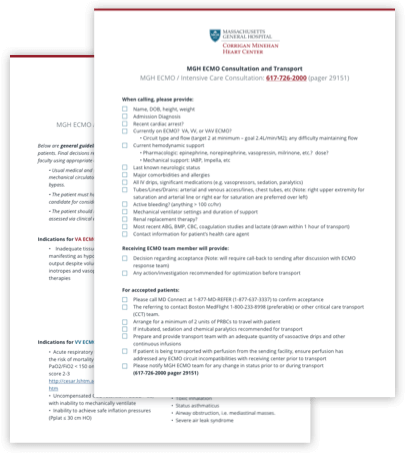 Within hours of publishing the app, MGH received 3 referrals from partner clinics within their healthcare network.